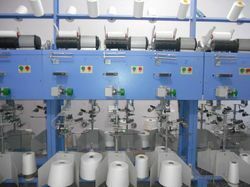 We are involved in offering an extensive array of Spool Winding Machine. We offer these machines in different technical specifications at affordable price. 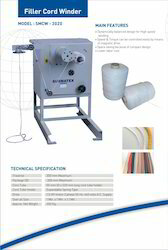 Winding Rewinding Machine With Thermal Transfer Overprinted. Cantilever design balancing body for easy loading and unloading of parent / rewound reel. Movable unwind stage for Edge guiding System, web guiding system (Hydraulic Web Aligner).